At a time when games are increasingly becoming about bigger guns, more blood, and bald space marines on a mission to save the world, games like Ratchet & Clank are finding themselves out of favor with the newer, younger audience. The popularity of what was once one of the PlayStation’s biggest franchises is now on the wane. 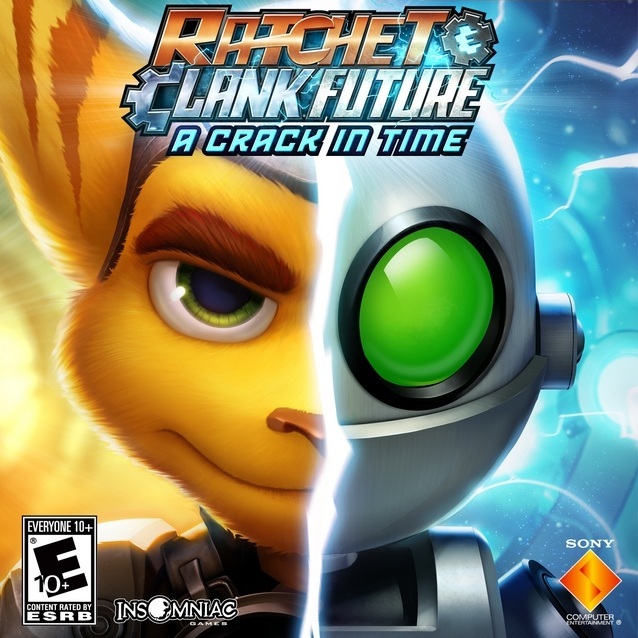 And that’s a shame, because Ratchet & Clank’s brand of action plat forming and puzzle gameplay is still some of the best in the industry. 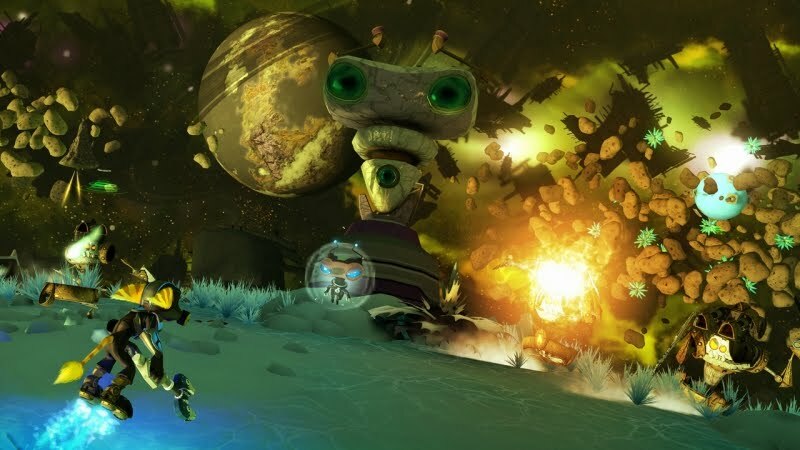 There have been rumors that the latest game in the series – Ratchet & Clank: A Crack in Time – may very well be the last, at least for a long time. 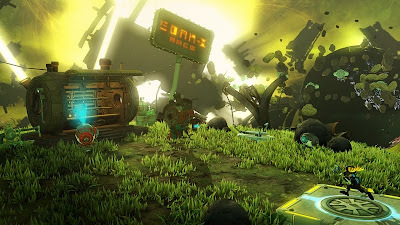 If that’s true, it’s truly the end of an era, but the unlikely Lombax-robot duo go out on top, because A Crack in Time is possibly the best game yet in this illustrious, long running franchise. A Crack in Time is the culmination of the Future trilogy and picks up after the events of Tools of Destruction and Quest for Booty. Clank, kidnapped by the Zoni alien race, is now imprisoned by the duo’s arch nemesis, Dr Nefarious. 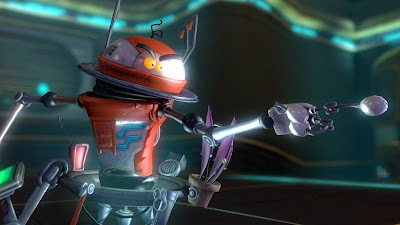 Helping Ratchet on his quest to rescue Clank and stop Dr Nefarious from carrying out his evil plans is Captain Qwark. 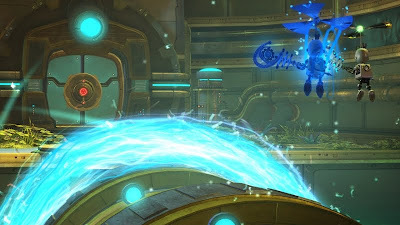 Anyone who’s played past games knows that with Nefarious and Qwark around, the potential for humor is immense, and this game doesn’t disappoint. The writing is brilliant and the loveable characters will definitely get a chuckle out of you at least a few times. But this is, after all, an action platformer and the gameplay is where this game truly shines. The quirky weapons and gadgets that are a hallmark of the series is here, including, what can vaguely be described as, a mini hippopotamus that kills enemies by belching. 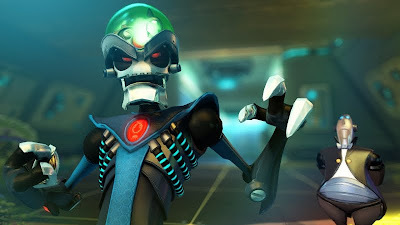 The deadly Mr. Zurkon returns, and there’s never a dull moment while he’s around, killing everything in his path whilst declaring that he does not come in peace. Platforming is at its best in A Crack in Time. 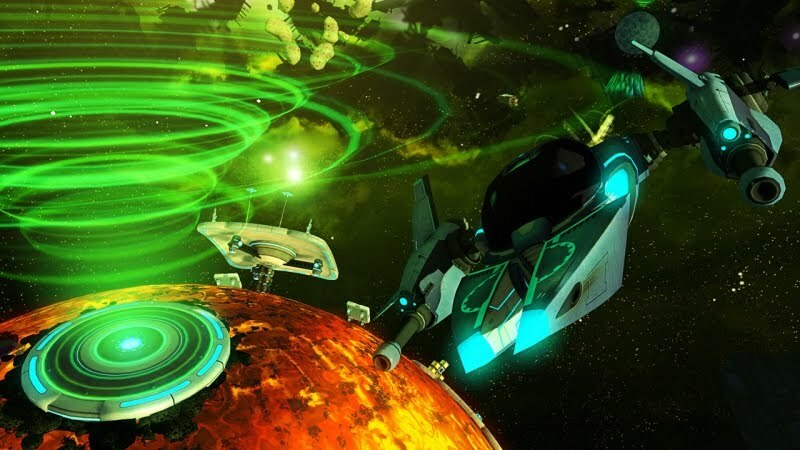 In addition to the fast-paced rail sequences, you now have hover boots with booster pads strewn around the environment for increased speed and spectacular jumps. As always, there is interplanetary travel, but rather than a simple cut scene, you can now manual travel from planet to planet and complete side-missions on the way. 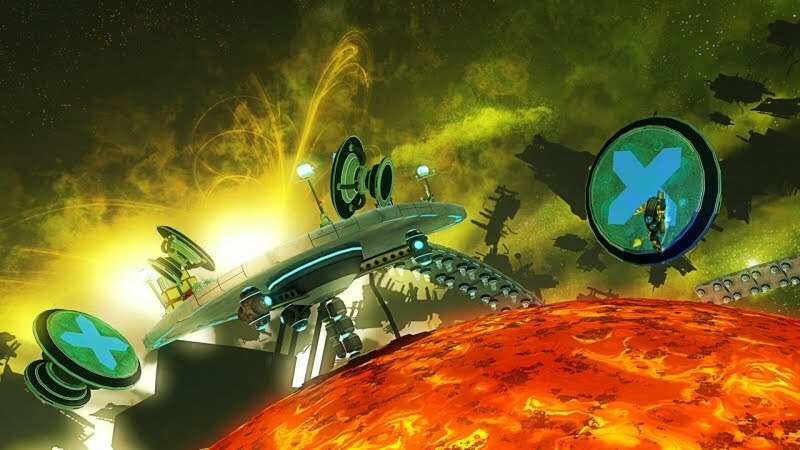 These small planets yield collectibles and power ups and house some of the best classic plat forming segments in the game. Weapons also feel just right. All your weapons, and even your space ship, can be upgraded to better accuracy, rate of fi re and damage and the shooting mechanics feel a lot tighter and responsive than in past games. There’s a lot of potential for big explosions with the weapons available in your arsenal, and thankfully, even when there’s a lot happening, seldom is there a noticeable drop in the frame rates. 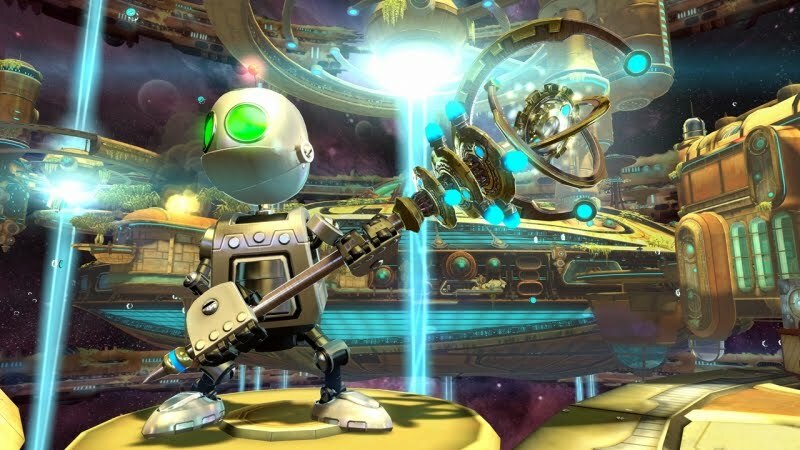 While it’s always fun to play as Ratchet, it’s the parts where you play as Clank that really stand out. These are mostly puzzle segments that deal with time control, where you will use time pads to record your actions and replay them, allowing you to perform multiple tasks at the same time. There is no such thing as a puzzle game that is too hard. Some of these puzzles will require some serious head scratching, and these are easily some of the most unique and intriguing parts of the game. 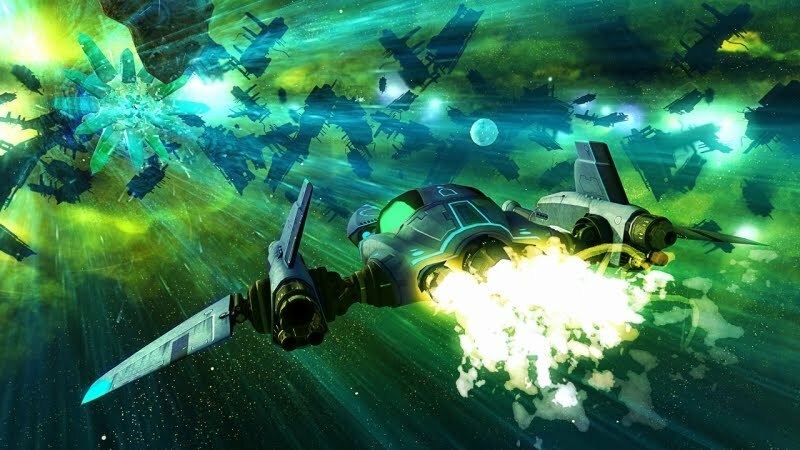 If Tools of Destruction was the closest a game has come to Pixar-level visuals, A Crack in Time reduces the gap further. But it isn’t the graphics that will make you love this game; it’s the characters, the humor, the story and above all, the classic Ratchet & Clank gameplay.